THERE ARE NO REHEARSALS TONIGHT, BUT THE SUMMER TERM BEGINS 8TH MAY!… WE CAN’T WAIT! For anyone who would like to have a go at singing gospel music - this is for you! 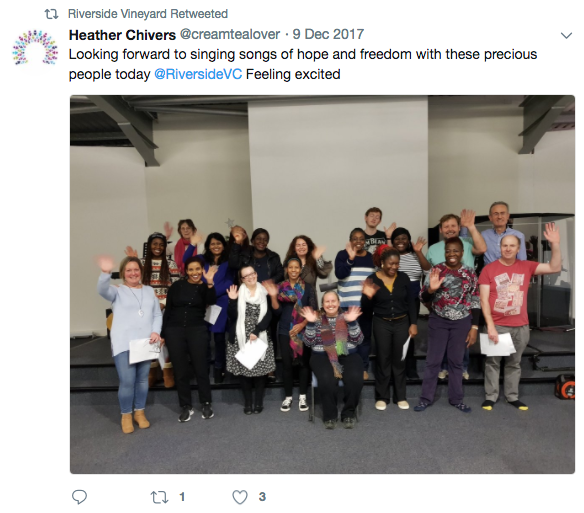 Our choir brings people of all cultural backgrounds together, we make friends and have fun as we sing songs of life, joy and hope. Come and join us! Where? 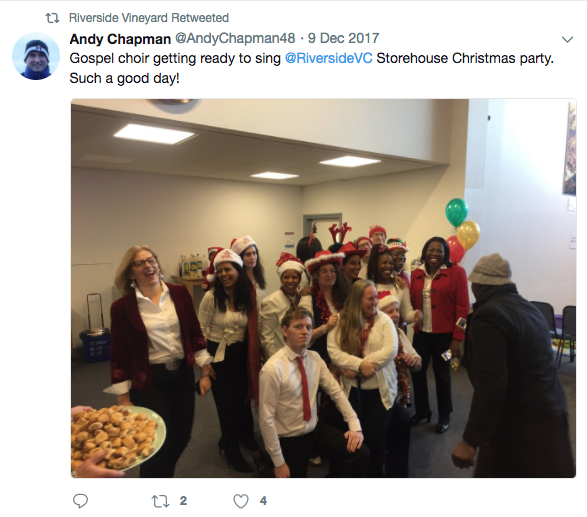 Riverside Vineyard Centre, Air Park Way, Feltham. How much? A small donation of £2 per session, payable on the day. No need to sign up – just come along – we’d love to see you!